This winter, invest some time and money in installing a product that can protect your home from the inconvenience and potential damage of frozen pipes. Homeowners who live in seasonally cold climates dread having their pipes freeze. At the very least, a frozen pipe can block the flow of water through the house; at worst, it can burst open and leak gallons upon gallons of water. Horror stories of devastating damage can trigger a fever pitch of anxiety, but frozen pipes are a rational concern for many, especially those who live in homes where the plumbing runs through unheated space. While there are several effective ways to minimize the risk, permanent fixes often involve the sort of work most people would hire a contractor do—rerouting a pipe, say, or outfitting an exterior wall with new insulation. In the short term, however, if you’re looking for fast, inexpensive freeze protection, “heat tape really comes in handy,” says Daniel O’Brian, a technical specialist with SupplyHouse.com. Despite its name, heat tape isn’t an adhesive at all. 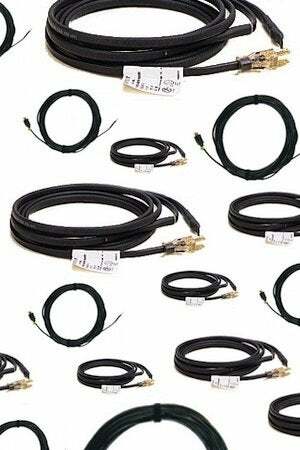 Rather, it’s a type of electrical cable that, when wrapped around or snaked through a pipe, applies a controlled amount of heat to prevent freezing. Besides the importance of early preparation, O’Brian stresses that there are a variety of heat tapes on the market, each offering different features. Most are self-regulating and, thanks to a built-in thermostat, adjust their heat output in response to the ambient temperature. As the temperature goes down, self-regulating cables put out more heat. When the temperature rises well above freezing, the cables turn off automatically, ensuring both safety and energy efficiency. In the past, heat tapes were often hardwired into the electrical system of the home, but today “most are plug-and-play,” O’Brian states. “You plug one end into an outlet and position the rest according to the manufacturer’s instructions.” Note that some outlets are safer than others. In fact, for heat tape, O’Brian recommends using only ground fault circuit interrupter (GCFI) outlets, which are designed to sever the electrical current in the event of a power spike or loss. Assuming there’s a GCFI receptacle in proximity to the pipe, installing heat tape can be a simple do-it-yourself project for the average homeowner. “It’s critical to read and understand the specifications provided by the manufacturer,” O’Brian says, but generally speaking, “it’s a straightforward job.” Most commonly, cables are wrapped around the pipe with a few inches of space left between each wrap, although some heat tapes are designed to run along one side of the pipe, affixed by means of electrical tape. Since electricity and water don’t mix, it’s a good idea to be cautious here. 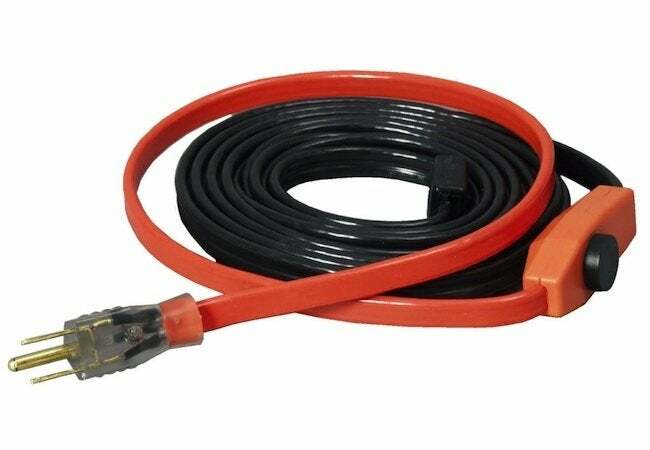 “Never let the cable overlap itself,” O’Brian says, “and take pains not to allow anything flammable to remain in sustained contact with an active cable.” Be sure to periodically inspect a heat tape installation, keeping an eye out for leaks in the pipe or frays in the heating cable. Some manufacturers call for the use of pipe insulation, at least in part to protect the heat tape from damage; others do not. Before purchasing, confirm that the product you’re considering is appropriate for your situation. While some heating tapes are expressly intended for galvanized or copper pipes, others can be used with either metal or plastic. Lengths and voltages vary as well. 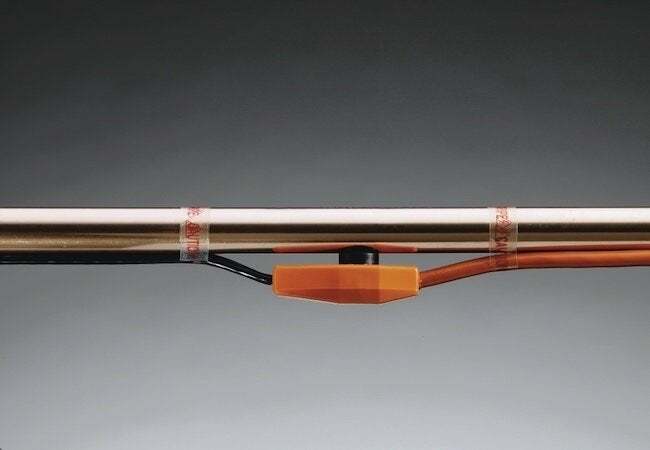 “You can find heat tape in lengths from 6 feet to 300 feet, and from 30 watts to 500 watts,” O’Brian says, but rest assured that the experts at SupplyHouse.com will always be on hand to help homeowners make the right choice.